The Poppy Line Steam Railway at Sherringham have a selection of beautiful working steam trains and carriages where you can ride the trains, or just explore the lovingly restored station. 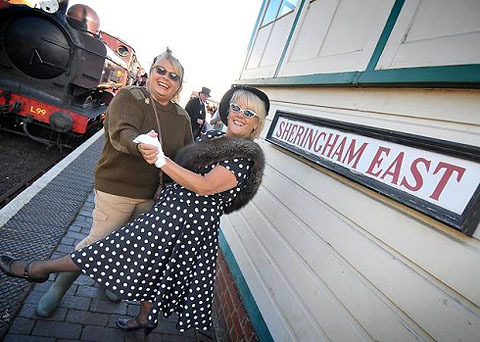 They also host many themed experiences including a Thomas the Tank engine, a visit from Santa and the hugely popular 1940s weekend - held in September - where the whole of Sherringham comes alive with the sights and sounds of the 1940s. A must-see for vintage-enthusiasts.